Official Game of Thrones Coloring Book | Nerd Much? It’s undeniable that Game of Thrones is filled with colorful moments. For example, the Red Wedding or the time that Joffrey’s face turned purple. Now, you’ll be able to color your own gruesome scenes in the official Game of Thrones Coloring Book. The grown-up coloring book, which is collected by George R. R. Martin, contains forty-five original black-and-white illustrations from the likes of artists Yvonne Gilbert, John Howe, Tomislav Tomic, Adam Stower and Levi Pinfold. 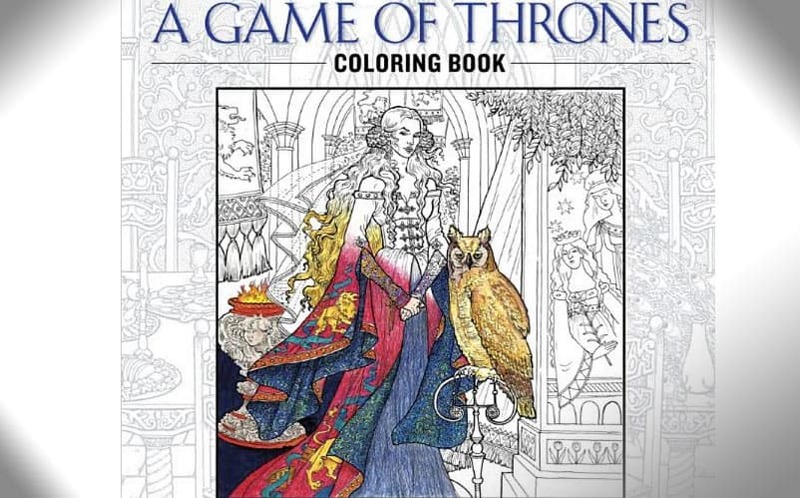 The Game of Thrones Coloring Book release date is set for October 27, 2015. We also featured this coloring book in our list of the top 100 best nerd gifts.